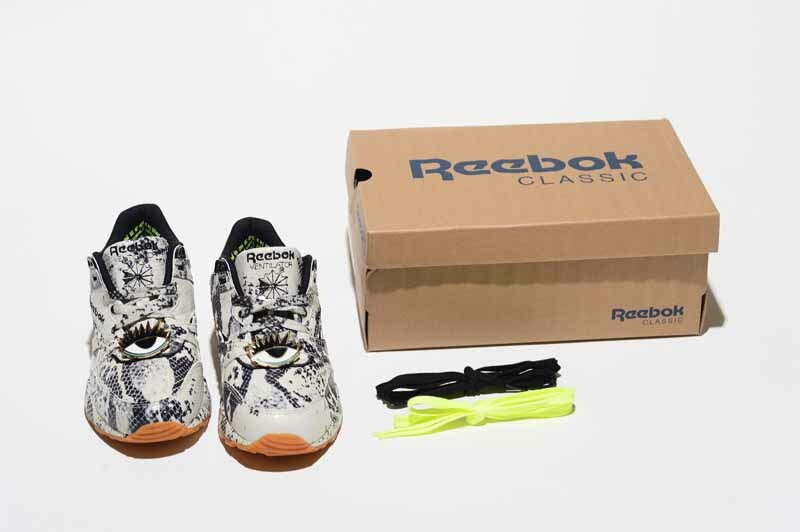 The Reebok Classic partnership with LA based designer Melody Ehsani is back for Spring/Summer 2015, dropping a standout sneaker pack to accompany the debut apparel collection launched earlier this year. Two much-loved classic silhouettes, the Ventilator runner and high-top Blacktop Pump, are reworked in the distinctive style that has become characteristic of Melody’s previous collaborations with the brand, for an eye-catching duo big on both style and substance. Originally running and basketball silhouettes, the Ventilator and Blacktop Pump are given a bold makeover as Melody re-interprets the designs in her edgy street style, creating fashionable footwear for strong, independent women whose actions, attire and attitude speak louder than words. Each sneaker features the original luxe python leather from the first Reebok Classic x Melody Ehsani collection, a unique texture that takes inspiration from a creature which embodies Melody’s definition of a Classic woman; a sweet juxtaposition of beauty and intelligence. A lacelock accessory featuring the designer’s signature take on the evil eye brings a sense of individuality and creativity to the look, while a gum outsole adds visual interest and a fresh finish to the upper’s rich tones. The Blacktop Pump is updated with a hidden interior wedge heel for a more feminine, streamlined silhouette, while the Ventilator stays true to its retro runner design to coincide with the sneaker’s 25th anniversary this year. The second drop of the Reebok Classic x Melody Ehsani SS15 collection launches exclusively at Melody’s L.A store and on her website www.melodyehsani.com beginning April 24th, followed by select global retailers on May 1st. The collection ranges from $120-$200.